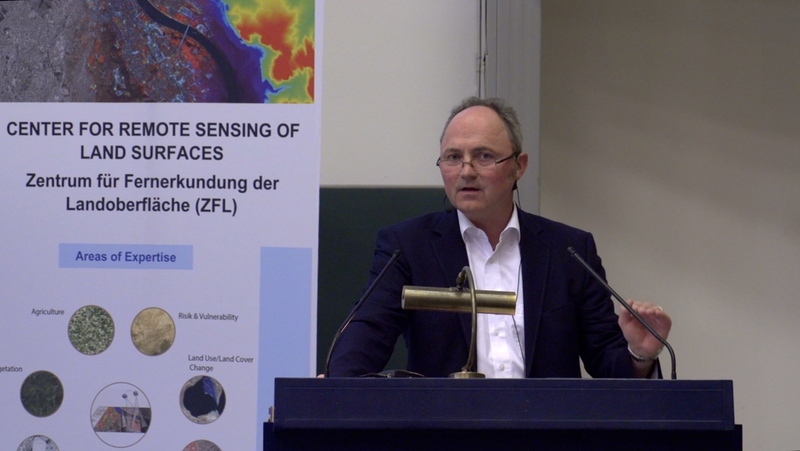 Dr. Szarzynski moderating the Event Series: “Research meets Development: Drought resilience in Sub-Saharan Africa”, at Bonn University, Department of Geography. Photo by Gesellschaft für Internationale Umweltbildung /© Patrick Augenstein. Dr. Joerg Szarzynski has been appointed Affiliated Associate Professor at the Disaster Management Training and Education Centre for Africa (DiMTEC). He will assume the new position, which is hosted at the University of the Free State (UFS), with immediate effect. The news was officially confirmed following a meeting of the Executive Committee of the Senate at UFS. As part of his new academic responsibilities, Dr. Szarzynski will provide face-to-face lectures at DiMTEC during an annual block course on vulnerability and disaster risk reduction. He will also give lectures via distance learning for the wider curriculum at DiMTEC. The overall goal of the courses is to increase awareness of the complexity and importance of vulnerability and resilience in the field of disaster risk management. In particular, Dr. Szarzynski will lead teaching on Early Warning Systems and Geospatial Technologies in Support of Disaster Risk Reduction (DRR) and Emergency Response Preparedness. He will also lead courses on Assessment and Coordination in International Disaster Management and Humanitarian Response, and Information Technology in Disaster Risk Reduction and Disaster Management. Commenting on the news, Szarzynski said: “The official confirmation of my professorship at DiMTEC is indeed a great privilege for me. 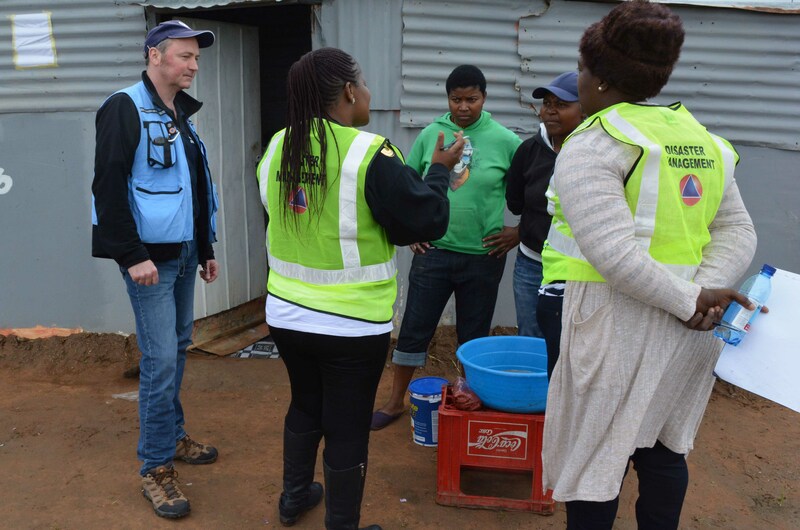 Vulnerability assessment simulation exercise within an informal settlement in Bloemfontein, South Africa. Photo by Prof. Zoltan Torok. Along with Dr. Fabrice Renaud, also of UNU-EHS, Dr. Szarzynski lectured to a group of some 15 academic students and practitioners from different disaster management centers and related organizations, NGOs and ministries earlier this year. For that block course, participants attended predominantly from South Africa, with one colleague coming from Liberia and two from Hungary. At UNU-EHS, Dr. Szarzynski serves as head of the EduSphere section and Education Programme Director.